Keegan Mulcahy specializes in advisory consulting for the acquisition and disposition of net-lease investment properties nationwide. Primarily focusing on Applebee’s and IHOP retailers, Keegan and his team have played a critical role in establishing one of the largest market shares nationally in the casual dining sector. 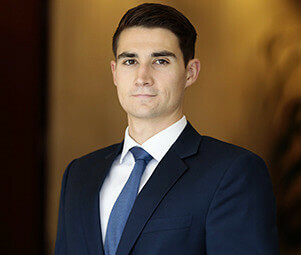 Keegan leverages his relationships with developers and extensive market knowledge to represent franchisee clients on a variety of transactions, including structuring sale-leasebacks, operational sales, bulk portfolio transactions, buybacks, and development site acquisitions. His unparalleled service can be attributed to his market expertise and dedication to achieving his client’s investment goals.